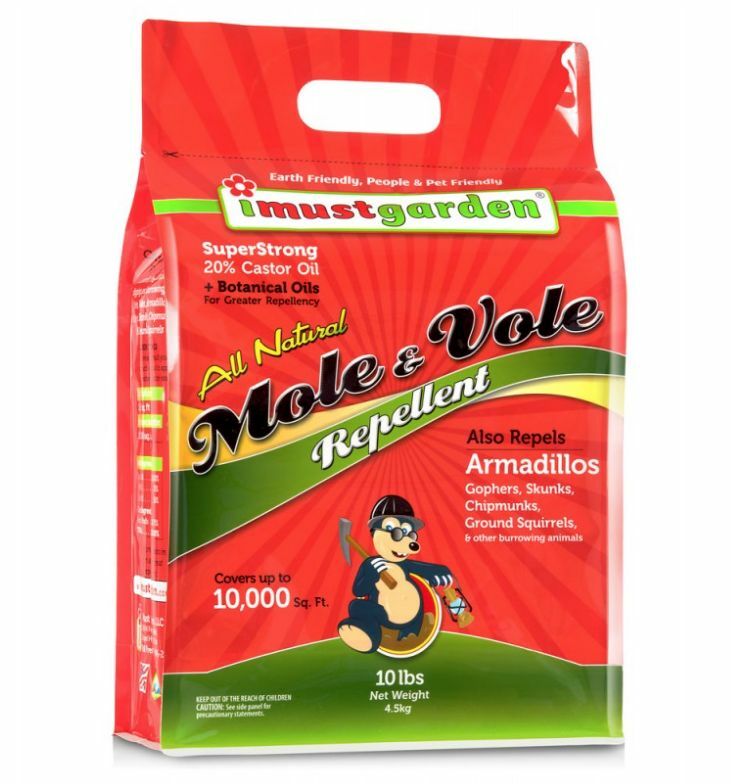 I Must Garden Mole & Vole Repellent is an environmentally safe, humane, and effective way to deter burrowing animals from digging and destroying your garden, lawn, plants, and landscaping. We created the strongest Mole & Vole Repellent on the market by combining a super strong 20% castor oil formula with botanical oils that taste and smell bad to moles and voles and other burrowing animals. The proprietary blend of oils safely coats their food source (grubs, worms, roots, etc.) and makes treated areas highly unpleasant – forcing pests to relocate. There are no poisons, harmful chemicals or toxic glues in our products. All of our repellents are safe to use around children and pets, and are completely biodegradable. 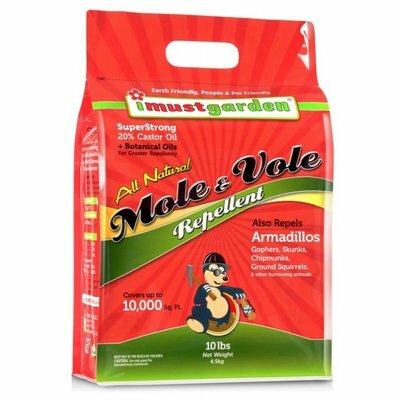 Freedom from Foul Odors I Must Garden Mole & Voles Repellent is pleasantly scented, making application easier and more enjoyable than ever! Many repellents on the market smell bad and are difficult to apply. 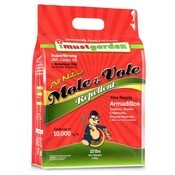 I Must Garden Mole & Vole Repellent and a pleasant mint smell and is easy to apply. Granular The Granular Repellent is easy to apply by hand or with a spreader. Our granular mole & vole repellent is one of most popular formulas, being granular application is extremely flexible, making it perfect for most homeowners. Do I have moles or voles? If you are trying to identify which burrowing pest is plaguing your lawn and garden, just remember this helpful phrase “Moles eat Meat, Voles eat Vegetation.” Moles Eat Meat: Moles eat grubs, insects and worms and cause the majority of their damage digging tunnels around your property in search of food. Mole damage can ruin a beautiful yard with dirt mounds, raised tunnels and patches of dying grass, all of which can lead to unsightly bald spots. I Must Garden Mole & Vole Repellent not only coats the insects in unpleasant tasting oils, but added botanical oils, like cedar oil, help drive insects themselves away - giving you double the protection. Voles eat Vegetation: Voles love to eat the tender roots of plants, and will even come above ground to eat bark and plants. Voles can literally destroy a plant overnight with their voracious appetites. The most common signs of vole damage are lopsided plants that no longer stand upright because their roots have been completely eaten away. Equally frustrating are plants that literally disappear into a hole in the ground. I Must Garden Mole & Vole Repellent coats your vulnerable roots in unpleasant tasting oils, forcing voles to look elsewhere for food. During the winter voles are known to come above ground and eat the bark from the base of trees – even below a cover of snow! Our Granular Repellent is perfect for cold weather and can be placed around trees preemptively, or on top of snow for long lasting protection year-round.